I get people all the time asking me for advise on what saws I use, and or what I recommend, so I thought I'd just offer up some thoughts for people to consider. Since we live here in the inland northwest, and are pretty much surrounded by timbered land, it's no surprise that there are many people who own a chainsaw. Even still, there are many people who want a saw but don't know where to start. Even though there are many manufactures producing chainsaws, not all of them are created equal. I personally use Stihl saws, but I wouldn't necessarily say that they are the only good saws on the market. 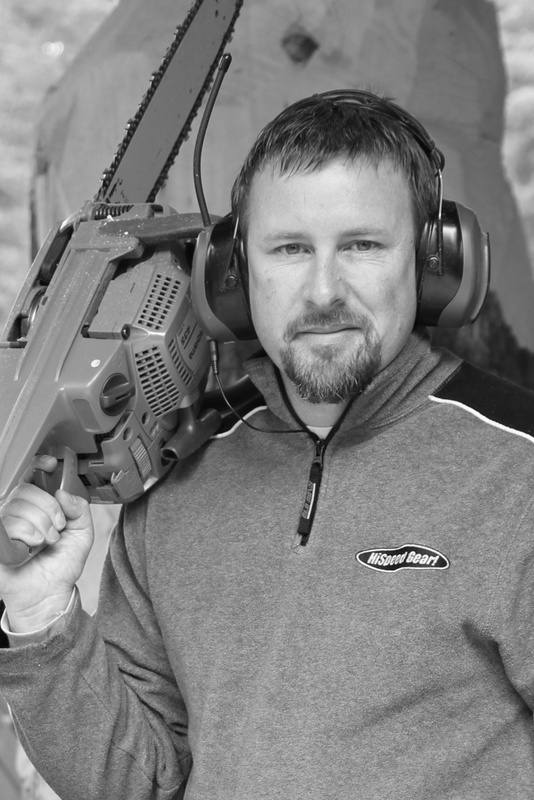 The mainstream brands are Stihl, Husqvarna, and Echo, but there are other brands out there... I categorize users into the following categories, you may fit into more than one, but it will help you decide what saw might be best for you and your application. Home Owner - Mostly occasional use, you want a saw that can cut the most common sized, manageable timber and be small enough that safety is not compromised by lack of experience. Wood Cutter - Proficient with a saw, utilizes a chainsaw to maintain property, cuts firewood frequently. Professional - Tree service pro's, Logger's, carver's, or other individual's who uses a chainsaw as a primary tool. On a side note, if your in my area, I'd highly recommend visiting the fine folks at Ragan Equipment here in Coeur d' Alene Idaho, they are friendly and knowledgeable about everything they sell. They are dealers for Stihl outdoor power equipment as well as a multitude of other farm and ranch equipment. Size - You never want to use the wrong tool for the job, and that stays true for using a chainsaw. Consistently using a saw that is too small for the material your trying to cut can increase the load on the engine and cause excessive wear on your saw, which is designed to run at a high rpm. So make sure you buy a saw that will proficiently cut both the size and the volume of material your planning to cut. Power vs. Length of Bar -All saws are rated by the manufacture to push a chain along a specific range of bar lengths. There is a lot to be said for having more than one saw, but if you have to choose one, then you need to consider carefully your application, and what you plan on cutting the majority of the time. It's also not a bad idea to purchase two bars , one at the saws minimum recommended length, and one at the saw maximum rated length, so that you have the option to cut larger material when necessary. Weight -The bigger the saw, the heavier it will be, so you'll need to consider whether you are strong enough to handle that particular saw. Not just on the sales floor, but when your tired after a day of cutting. You'll be more likely to get hurt while lifting the saw to limb branches, or carrying it through the woods. When cutting firewood, wearing chaps, and large boots, a person who is not used to this activity can quickly become tired. I personally like smaller saws, but then again I have a multitude to choose from when I need just the right one. Ergonomics -It's helpful to see how a saw feels in your hands, the balance, as well as accessibility to things like the air filter, the fuel and bar oil fill caps are important. These are all things that you will access repeatedly and they should perform well. If you are inexperienced, this is where a trustworthy friend or your local saw shop comes in, they have the experience to help you decide which saw is best for you. Put it in your hands, and mimic on all the positions you would use to make various cuts. Some saws come with an "easy start" which can be nice. This function relieves some of the engines compression to allow the pull-chord to be easily pulled when starting. Bar Attachment and Adjustment -Ask the sales person to demonstrate how to remove the bar, and replace the chain. Through this process, you will learn how to adjust the tension and see how the chain should move freely along the bar. Some beginner users will mistakenly put the chain on backwards (which will not cut) or they will tighten the chainsaw blade too tight. This causes excessive wear on both the engine, and the bar itself. Saw Chain / Sharpening -There are many different types of chain, and rather than me going into all of them, you can just jump on the internet and do a bit of research. There are special types of chain for different saws and conditions. Your local saw shop, will be a great resource to get you started. If you're a beginner, or if you buy a saw right off the shelf your likely to get safety chain, which just means there are some extra pieces on the leading edge of the chain links that keep it from being quite as aggressive (less kickback).As far as sharpening is concerned, I think that everyone should learn the basics of hand sharpening a saw chain, there are too many situations that you will want to touch up a blade (the teeth), without having to take it somewhere to be professionally sharpened. Purchase the correct size round file for the saw chain your using, and make sure you have a handle to go with it. I'm quite certain that most people will find it to be a skill that is easily learned with a little practice. You tube, has tons of videos of people sharpening for you to glean from. Your chain can become dull from dirty wood, from small amounts of sand, or rocks that get embedded into the bark, or more commonly, people running their saw into ground while trying to cut firewood into lengths (called bucking).Safety -I cannot stress this enough... CHAINSAWS ARE EXTREMELY DANGEROUS and the operators need to have a healthy respect for its capabilities, so aside form asking someone to demonstrate the proper use of the saw, you need to purchase some basic safety gear. Chainsaw chaps are specially designed so that the fibrous material inside the chap is designed to come out once penetrated, and bind up the saw chain, keeping it from continuing to cut. There are many styles out there from a full pant, to ones that just cover the front of your pants from the waist to just above your feet. Which ever you choose, make sure they fit properly. Gloves, are also a good idea, since they will not only protect your hands from splinters, but also an accidental brush against the saw blade. The last basic piece of gear is safety glasses, you can find them just about anywhere, I would purchase a couple of pair because they scratch easily and don't last terribly long. I personally found a pair of "glass" safety glasses, which, believe it or not, are very difficult to find. They're a bit heavier, but they don't scratch and I've had the same pair for 4-5 years now. Cost less up front, Use less fuel / fuel oil- Cost less to repair - Is lighter in weight, which means less fatigue- Takes less time to sharpen. This information is brought to you by Northwest Sculptor Jeff May, if you wish to see a work from Jef May, you can visit his website www.JeffMayArt.com , or "Like" our facebook page, a less formal sneak peeks behind the scenes at "Sculptures by Jeff May" on facebook.